Better late than never! We apologize for the delay in our blog post. We are not sure where to start with our experiences while in Mikinduri. It truly is going to be a challenge to describe it in words. Paul came to pick us up at the Chaaria Mission Hospital on Friday morning. We traveled for about one hour to Mikinduri. 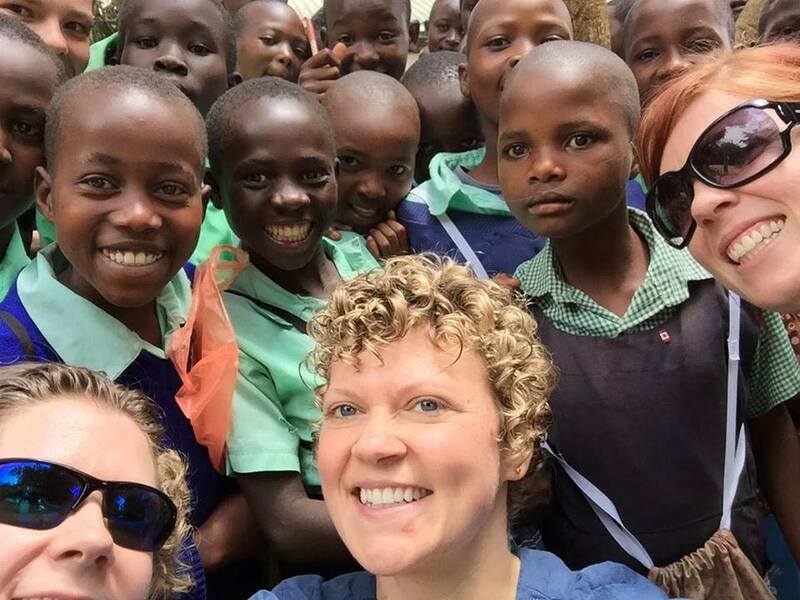 Our first stop was to the Kinwe Feeding Centre where we were introduced to Martin, Frances, Wilson, Lloyd, Patrinella and the other members of the Mikinduri of Hope (the Mikinduri Children of Hope equivalent in Kenya) and the sister Chalice sponsorship program. Opened in January 2009 by Mr. and Mrs. Ted Grant, this program offers lunch to the children who attend the nearby school. At this Feeding Centre, they grow Moringa also known as “The Miracle Tree.” It is considered a super food that has 10 times the Vitamin A of carrots, 9 times the protein of yogurt, 17 times the calcium of milk, 15 times the potassium of bananas, and 12 times the iron of spinach. It is used as a supplement and is available as a powder, packaged in plastic bags/containers. Martin showed us the tree, leaves, washing and drying racks used to prepare the product. Nutritionally dense, a benefit to all children. 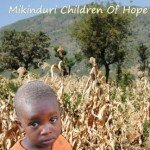 For those who do not know, MCOH with Mikinduri of Hope has been responsible for initiating five feeding programs in Mikinduri and surrounding areas, which feeds approximately 1800 school aged children. There are two in progress (to make seven in total). The benefits of the feeding programs are increased enrollment in school and a decrease in the drop out rates. Before feeding programs, the children would go home at lunch and often not return, as there was no lunch prepared for them. Can you imagine walking miles to and from school every day and being expected to sit, pay attention, be interested, and learn without food in your belly, and fuel for your body? MCOH funds the set up of the feeding programs. Parents must then contribute a portion of produce as well as their time (dedicated to the planting and harvesting of the crops). There are contributions from a locally paid farmer. The deficit is paid by MCOH. Contributions from the farmer and parents are expected to increase and the deficit at the cost of MCOH to decrease. As a result, the goal is for the programs to become self-sufficient/sustaining allowing MCOH to move forward and initiate additional feeding programs in other villages. While at the Feeding Centre, the school girls aged 12-15 years, joined us for a presentation on female hygiene. We talked to them about their menses and the Days for Girls program which offers a kit containing washable/reusable sanitary napkins (daysforgirls.org). The girls were quite knowledgeable of their reproductive health. For this we were pleased. Marion had learned of this program and thought it could be influential. She acquired the kits from one of the two Chapters that exist in Saskatoon. It ended up being more beneficial then we initially thought. Martin had organized that a journalist record the presentation so the information could be shared with other adolescent females not in attendance, as broadcasted on TV/radio to the females from other schools and villages. Martin too had arranged for Pamella, a respected tailor, to join the presentation to meet with Marion and learn how to make the reuseable napkins (sani-gal in Swahili). The work he went to ensure this presentation was a success!!! 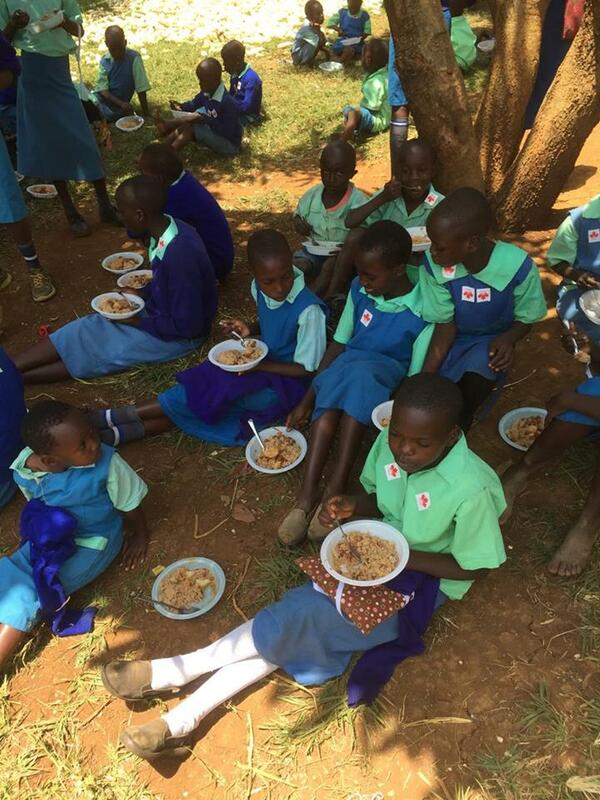 We learned that girls miss a considerable amount of time from school due to their menses. They do not have the supplies to maintain the necessary hygiene. They are expensive and often not affordable by parents. As a result, they use socks, feathers, cow dung, etc. They often will get pregnant to avoid their monthly menstruation, and as a result drop out of school. The Matron of a nearby girl’s academia emphasized that knowledge is power, that this was an opportunity to empower young women. Giving them hope for a brighter future. We were a part of this. Incredible!!! We provided a presentation on hand hygiene. Simple, but again beneficial. The children do not often wash their hands before receiving their lunch each day. That day, they washed their hands, before lining up for their meal. We were overwhelmed. The children were so excited to see us. Amused by our cameras. Requesting photo after photo so they could see their reflection in the camera screen. Smiles from ear to ear. We distributed Canada stickers and tattoos and were almost trampled in the process. Something so simple and small to us. Something so large and fun for them. We later returned to visit the children at their school. We toured their facility. Large rooms assigned to each grade. 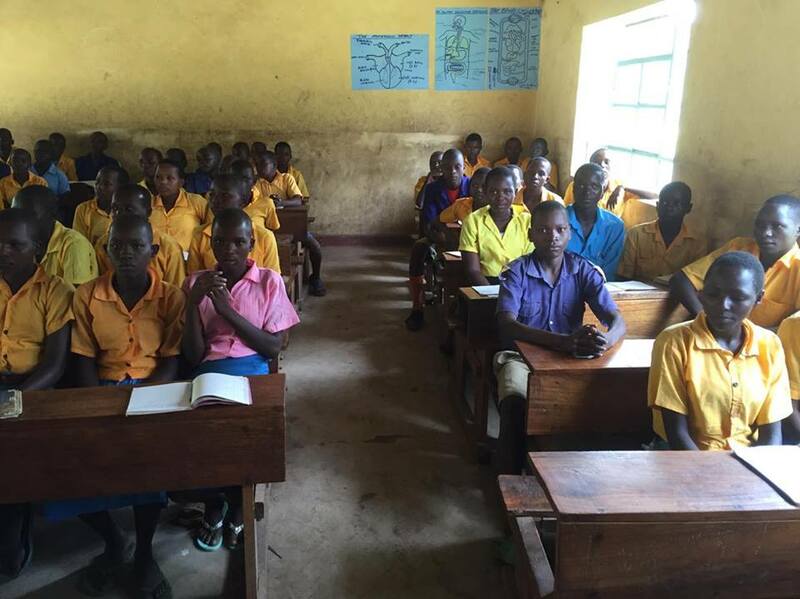 The difference between the first constructed school rooms and the ones donated by MCOH were very obvious. The government donated additional classrooms (as a result of the MCOH contributions) which was very nice to see. The old school desks, a long flat working surface, and a seat shared by many. No computers or advanced technology. Hand written charts/diagrams on the wall. Chalkboards and chalk. They were thrilled that we came. They sang for us. Each of us, with many children gripping our hands and arms. Pinching and caressing our skin, I think to see if it was real. Their beautiful voices. A gift from God. Our hearts so full. We feel rewarded! We had the opportunity to visit the home of a school-aged child. I really wish we had not. One small house, two rooms. One room for girls, one for boys. Each room the size of a bedroom closest. All sharing one bed. No running water. No electricity. The pig grazing in the yard. Its purpose to grow to be slaughtered. Not a pet but rather for food. On Saturday, we toured the Mikinduri of Hope office and the Rehabilitation Centre. There has been a new covered pathway constructed in the last year, sponsored by the government, that was a very pleasing addition to the Mikinduri Hospital. The female and male wards, still not opened, but now have beds with plans to open in the next 2-3 months. This is very exciting for the village of Mikinduri! We went to visit the Kagwuru Feeding Centre, the oldest feeding program, established by the MCOH in 2008. A sign noted to read “Ted’s Classroom.” We were thrilled!! The Grade 7 and 8 students were in class. They are required to go to school on Saturday to prepare for their Performance Standard Exams (PSE). This exam permits their acceptance into Form 1 (which is Grade 9). We were well received into their facility and classrooms. The principal expressed his appreciation for our efforts and success of the school since the feeding program has been started. We were very honored to be representatives of the MCOH! We were able to spend time with Miriiam and Winjoy, the children sponsored by Angie and Marion respectively. On our travels through the different villages, we would stop and distribute knitted bears, homemade dresses, and blankets (thanks to our many donors). Children and mothers so excited and grateful. “Thank you, thank you!” “Be blessed.” The many responses and smiles we received. We attended the Mikinduri market. It amazed me. So so busy but yet each shop the same. It was like having Walmart across from Walmart across from another Walmart, etc. The same items. Sales were determined by the best price. Competitive shopping. We ended our day en route to Chaaria with a visit to the Meru Chidlren’s Home. This is the oldest orphanage established in 1965 sponsored by the Catholic Church. Sister Anselmina Karimi was more than happy to show us her facility and introduce us to the children living there. 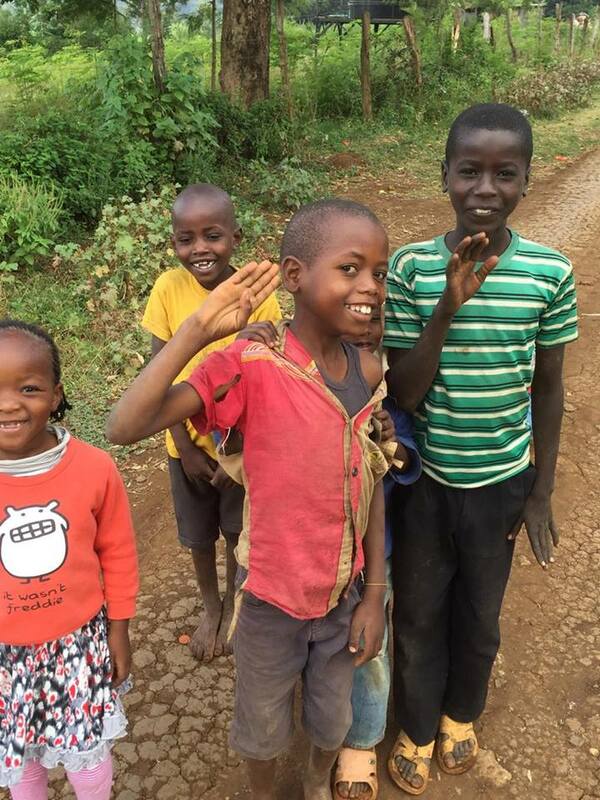 We were thrilled to see how “well off” these children were. A “posh” orphanage states Angie. The situation of the children very sad. 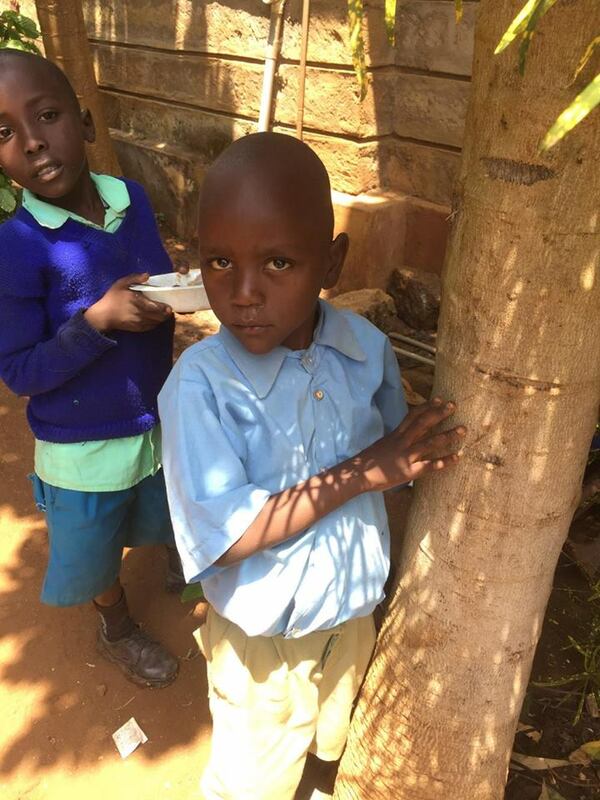 Children found in the bush, left in toilets, apprehended by police and committed to the Children’s Home. I feel so blessed that my parents wanted me and were willing to provide and care for me. They were grateful for our donations. We couldn’t help but think about the other less fortunate orphanages that may have been more in need of our donations. They sang as their gift of thanks. A young woman expressed her appreciation for our sacrifice and concern. How lucky we have it. We returned to Chaaria, where we would continue to volunteer for Monday, Tuesday and Wednesday. We were exhausted after our busy weekend but were invited to dine with Dr. Beppe and the other brothers this evening. We all gathered at 2015h to discuss the events of the past week and weekend. A nice evening of new friends and fellowship. The days were hot. We returned to our assigned Wards. We helped with the dressings and the daily routines. We assisted with more deliveries. We even had the opportunity to go to the OR for some c-sections. Vaginal deliveries without analgesia and any family at the bedside. The woman so stoic. Not a sound made. No expression of fear or emotion. Many new faces seen. Admissions and discharges while we were away. Angie and Sarah were pleased with the improvement in some of the wounds they had seen. Marion was busy in the OR while Maddie spent time doing laundry and assisting the men with disabilities. Each of us more comfortable and confident in our roles. We were more at ease. Angie, Sarah and I spent hours each day folding gauze. A mindless task which we found to be therapeutic. It is in high demand on every Ward. From Kleenex to cleaning wipes, OR sponges to sterile dressing trays, the gauze is multipurpose. Without it cut, folded, sterilized and available for use, work comes to a halt. So a task appreciated by all. We were still on our high from the weekend. Reminiscing about our experience with our Days for Girls presentation. Martin plans to visit us in Chaaria on Wednesday and bring us a copy of the broadcast from the journalist. We enjoy our patio every evening. Our place to unwind and cool off before bed. The bugs more noticeable this week. A large bug that resembles a hornet but multiplied in size. We have been calling it a drone. Enormous and loud. We are anxiously anticipating our Sarfari adventure. Paul comes for us on Thursday morning. This is when we will shall say farewell to the staff, clients, and other volunteers at Chaaria. We struggled in our first week with our purpose. Some of us with expectations and others with none. At Chaaria, we did not feel useful. Was that a result of our own pride? Why did we need to feel needed? Why did we feel like we had to make a difference? The difference did not have to be great or even noticed by others. At times we felt guilty. We felt remorse. Canada so rich and Kenya so poor. We are given a gift as Canadians. For that we are blessed. We learned that we should not feel guilty for the things we can not change. Instead, we should respect and appreciate their culture and offer our services where needed. Help those both in need and want. On reflection, we did make a difference. Each smile, wave, hand shake, or greeting was proof that our efforts weren’t in vain. We struggled to learn the routine without all the modern conveniences at home. Resources so limited but yet a facility so functional. We gained so much. Nursing knowledge and experience, culture and customs. New friends made. Time spent with old friends. We had the privilege to share in the miracle of birth. We were given the gift of presenting and sharing knowledge with others. Teaching young minds. To change the lives of young woman, giving them hope, giving them opportunity to attend school in hopes to achieve a career/profession. Feeling of satisfaction. We gained and we gave. Our hearts grateful and full. Asante sana! Thank you for your love, support, and prayers. May Ted’s contributions continue to flourish each day, improving the lives of so many children and their families.